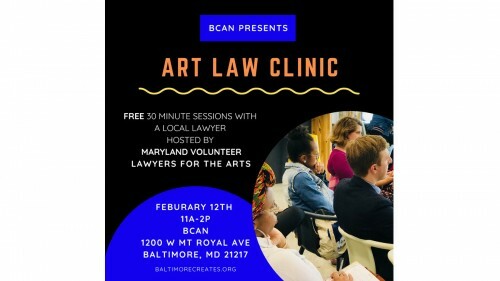 Are you a Baltimore creative with legal questions? This is the event for you! Here's your chance to sit down and get a free 30-minute consultation with an attorney to sort out any legal questions you may have.